Welcome to CFC Academy's Official Website! Thank you for taking the time to visit the CFC Academy website. In a time where our youth are faced with seemingly insurmountable obstacles to their progress, the Academy has purposed to continue to implement new and creative methods of assisting our students academically, as well as in their personal development. 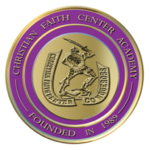 As the CFC Academy has now embarked upon its 30th year of service, I take pride in our Academy’s established record of instilling both academic excellence and exemplary character in the lives of our past and present students. With our dedicated staff and energetic student body, I sincerely believe that the 2018-2019 school year will be our best year ever!